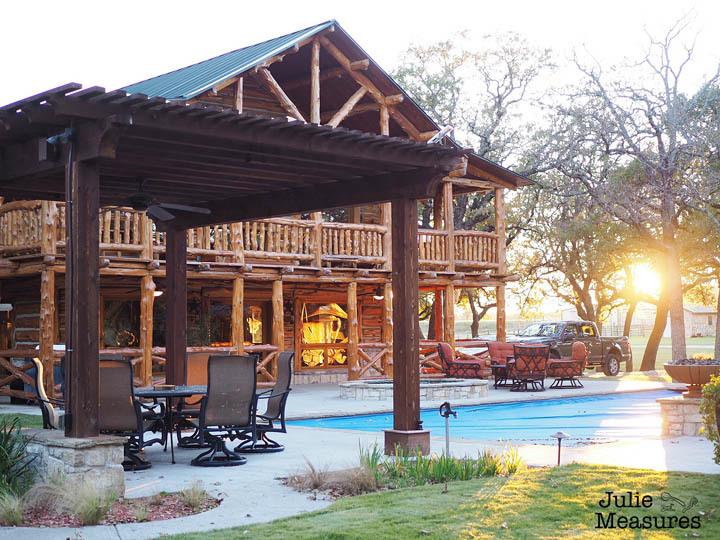 Thank you Honey Hollow Ranch for hosting our blogger retreat. 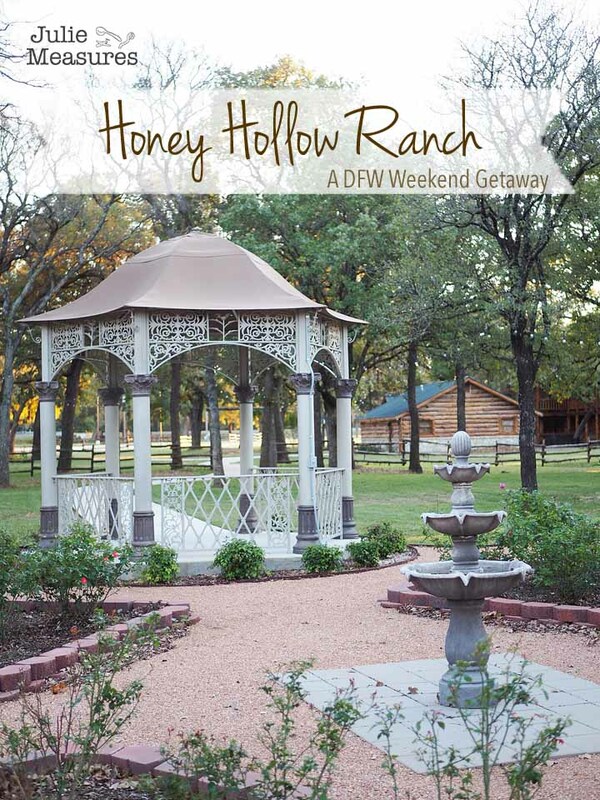 Who knew that an hour outside of Dallas/Fort Worth is the beautifully rustic Honey Hollow Ranch? 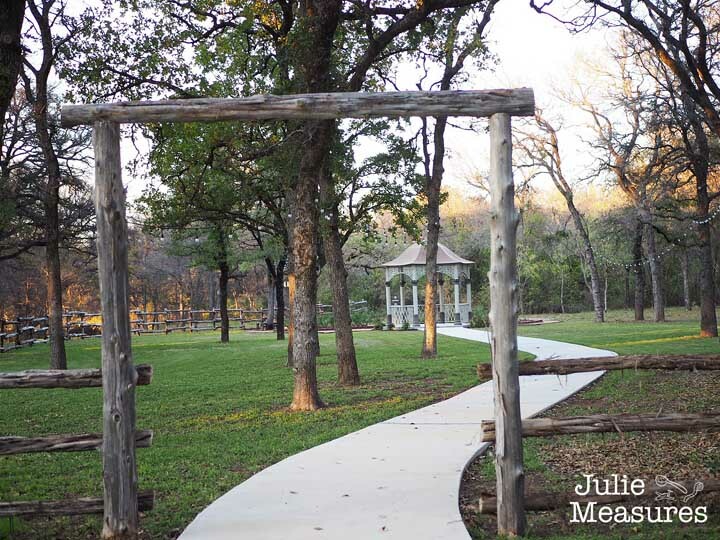 An idyllic setting for your next special event. Can being better at setting goals be a goal? I think it was about a year ago that I met up with some other bloggers at a small coffee shop. One of the things we shared were some of the goals we wanted to accomplish. At the time I had been wanting for some time to do more travel. But it wasn’t something that I was really openly sharing. At that get together I decided to put that goal out into the open. I love to travel, but I for the past several years I had given myself excuses for not doing it more. After that get together I became more serious about wanting to make travel a priority. There were a lot of travel experiences I had never done and so many places I had never seen. I got braver about telling friends about my goal and I started taking steps to make that goal happen. At the beginning of the year I knew I wanted to take 4 trips. I took 4 trips this year. Were they the same trips I outlined for myself at the beginning of the year? Not even close. Were they more amazing than I could have imagined? Yes, they were. Now I’m looking forward to next year and trying to decide what goals I want to accomplish. 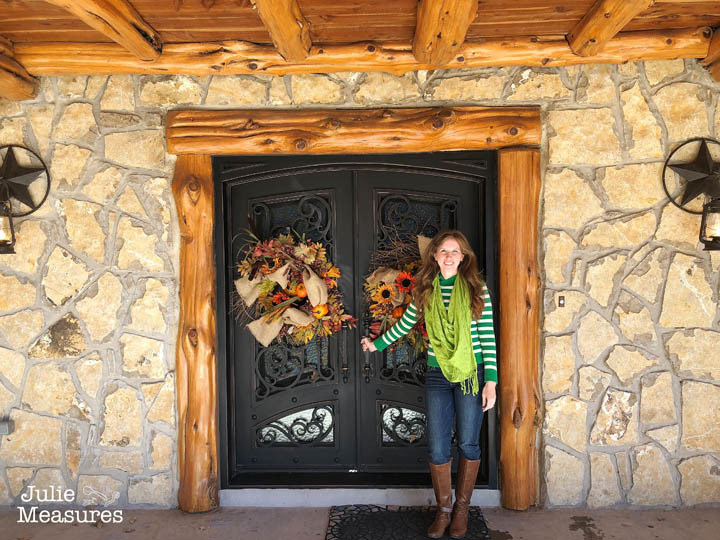 I think I found some of my focus during a blogger retreat at Honey Hollow Ranch. 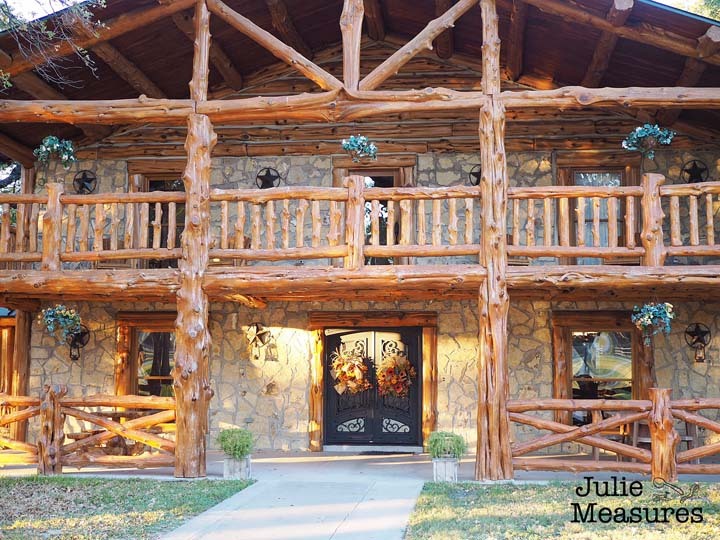 This beautiful and secluded property just an hour from Dallas/Fort Worth sleeps up to 14, but was also perfectly cozy with our group of 5. 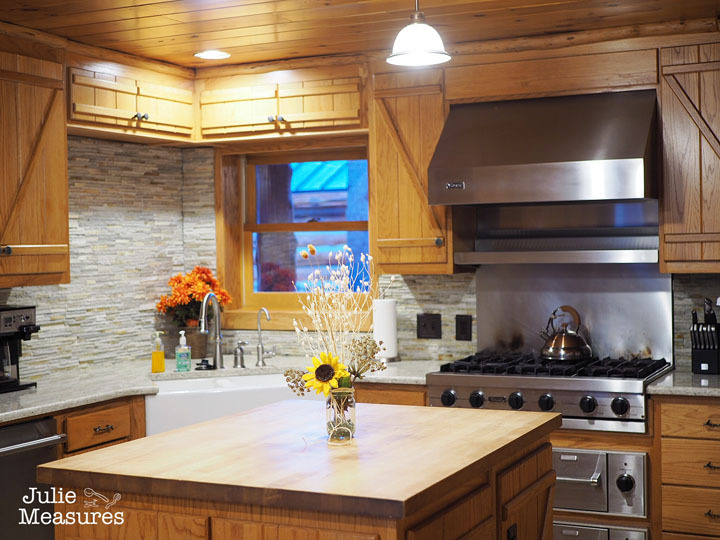 The kitchen at Honey Hollow Ranch has quartz countertops and brand new appliances. I loved the large gas oven range. You’ll also find a dishwasher, coffee maker, large refrigerator, and more. It is even stocked with all the pots, pans, and dishware you might need. Our group decided to make tacos for dinner the night we stayed. We put together an online signup where we could all sign up to bring a couple of ingredients and then everyone cooked together. 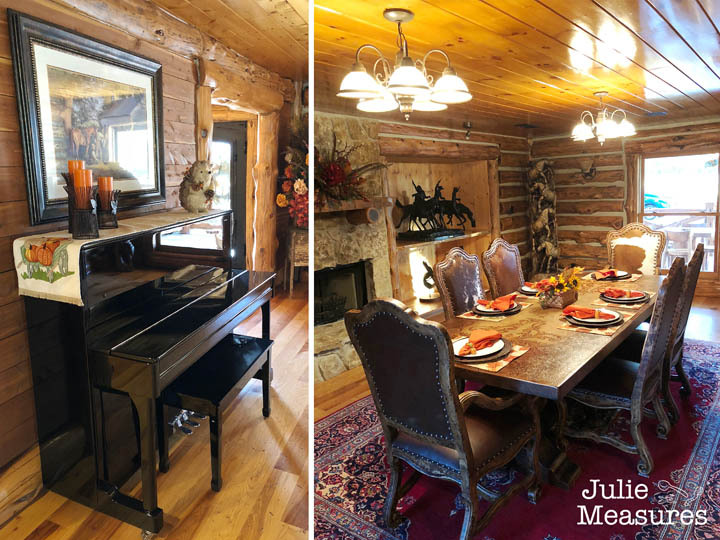 There are two ‘living’ rooms in the house as well as a game room filled with a regulation size pool table, shuffleboard, poker and bar (including a wine fridge and all the stemware you might need). 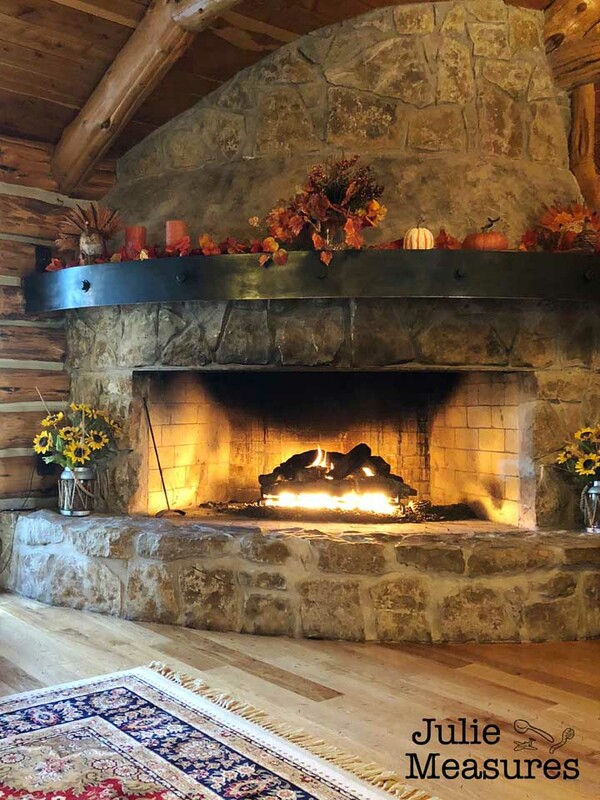 It happened to be cold the night we were at the ranch, so our favorite place to sit and relax was in the living room with the fireplace! The house has a total of four wood burning and gas fireplaces (one is in the large bedroom suite upstairs). There are multiple bedrooms in the house, 4 downstairs and 2 upstairs. 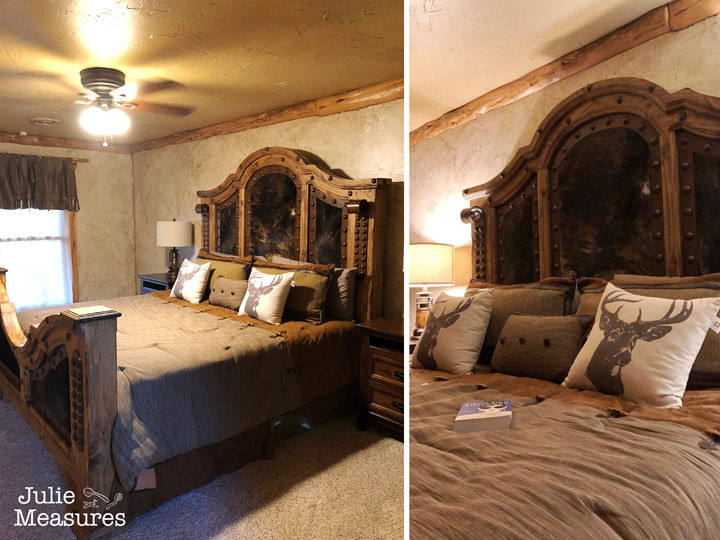 One of the upstairs bedrooms is a large suite with the fireplace and the other upstairs bedroom features 2 twin beds. Three of the downstairs bedrooms are standard rooms, and one of them is another suite with its own bathroom. There are two additional bathrooms downstairs and a huge bathroom upstairs. You’ll find a walk-in shower, jetted tubs, and more among the amenities. 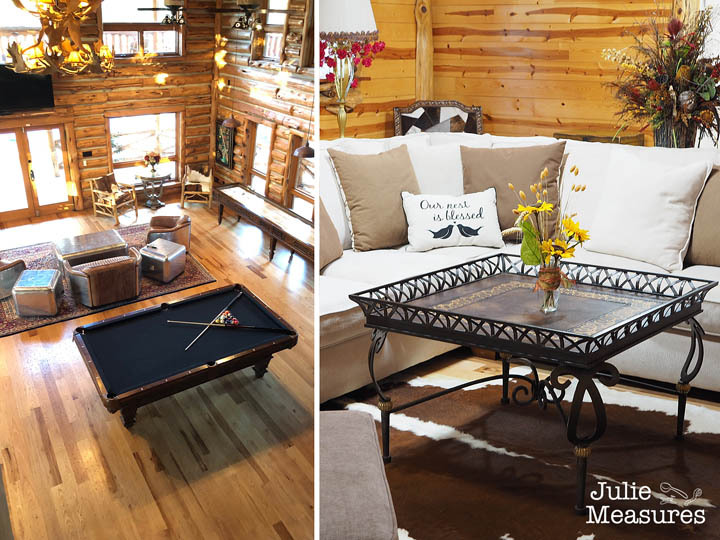 High ceilings and huge rooms are perfectly designed for Texas sized retreats. 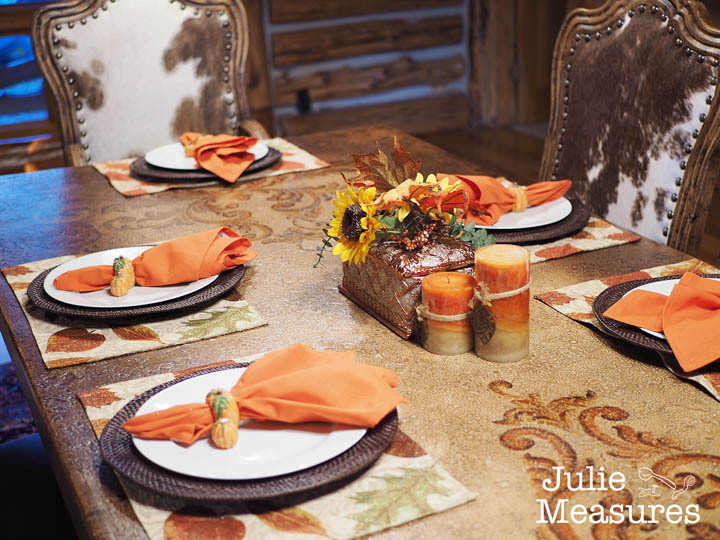 But the warmth of the ranch is also perfect for more intimate gatherings as well. Of course the amenities aren’t only to be found inside. 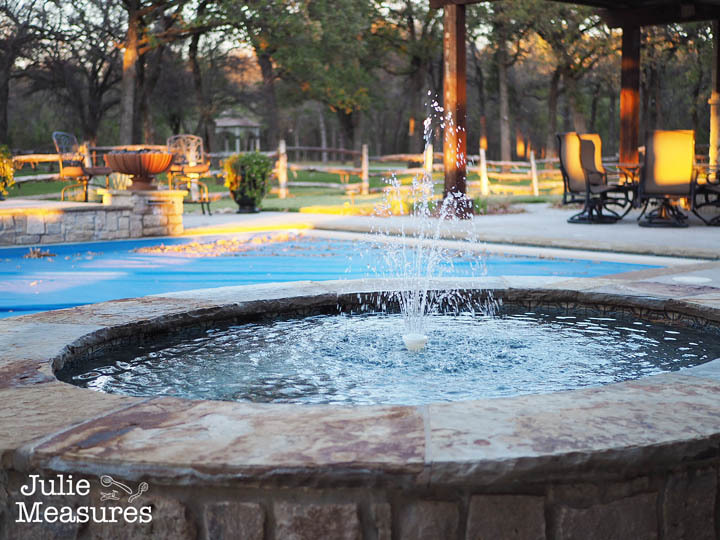 Outside you’ll find a heated in-ground pool, hot tub, fire pit, and cabana. Something to enjoy no matter what time of year you are visiting. 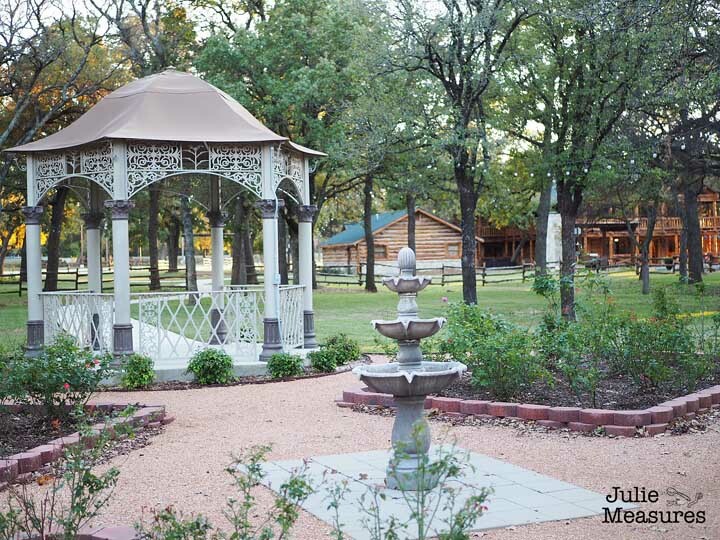 I’m pretty sure no rustic location is complete without a beautiful garden gazebo. The perfect outdoor setting for a BBQ, wedding, fundraiser, or just about any special occasion. Back to finding my focus at Honey Hollow Ranch. For our blogger retreat we decided that as a group we wanted to create vision boards. I’ll have to be honest that I’ve never really created a vision board before, but I’m now a believer. The idea is pretty simple. We brought poster board (or foam board) and a stack of magazines. Doing this in a group was helpful because we all brought different magazines and then we could share. Go through the magazines and cut out images or words that visually represent the goals that you want to accomplish. One of the women had some advice for us when we started which I thought was poignant, your vision board should be goals that you are reaching for, but not ones that are unattainable. These goals should push you, but they shouldn’t overwhelm you. Your vision board should be inspiring and never discouraging. Some of the women had vision boards where images and words overlap, creating a collage look. Some of the women grouped their vision board into sections. Some of the women added hand written notes to their vision boards with more details. You create a board that visually inspires you. My vision board is a combination of personal and work related goals. It’s also a combination of photos and words. Mine is grouped by different categories. Travel images and words and near each other. There are some photos of knitting used in unusual ways, as I’m always trying to think outside of the box with yarn. My vision board is currently sitting next to my desk, along with a new small notebook where I’m jotting down more specific goals based on my vision board. 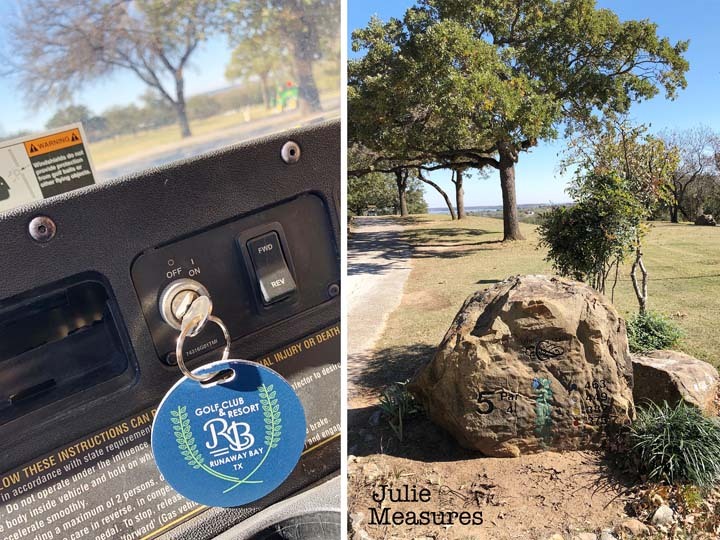 As part of our stay at Honey Hollow Ranch we also got the opportunity to tour the nearby Runaway Bay Golf Course. I never spent much time on a golf course until I was asked to chair a charity golf tournament. While I still don’t golf, I do love driving a golf cart around a course! You know what will always make me smile, a good pun. 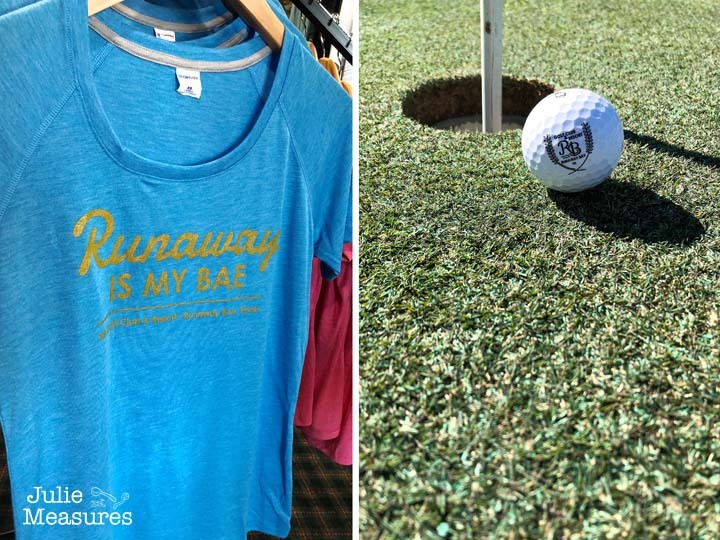 This t-shirt at the golf course pro shop (Runaway is my bae) was just too clever. And if you stop in for lunch at the club, the fried pickles and chicken quesadillas were both delicious! Missed any of my travels this year? Catch up HERE. 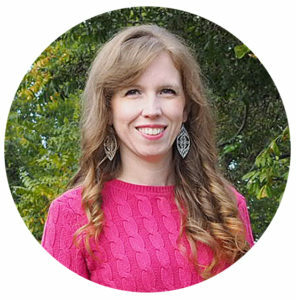 Looking for the Best Bloggers in Dallas? Find them HERE.